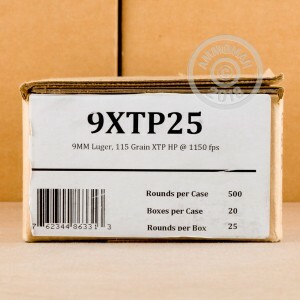 If you are in search for an excellent, yet affordable self defense round for your 9mm carry gun, then this ammo should be at the top of your list. 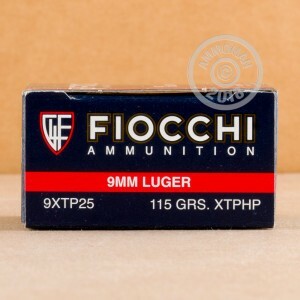 This Fiocchi ammo is loaded with a 115 grain Hornady XTP jacketed hollow point. This means that you are getting a truly excellent bullet, loaded by a great company and a lower price than you could get it from Hornady. This ammo has great consistency, and will have reliable performance even out of compact handguns. 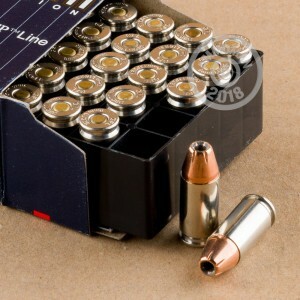 Order your ammo today, and have confidence that you can stop a threat if need be.